The Week That Was: This was a big week. College football and the NFL got started. That's really plenty to fill a whole column, but there was much more going on in the world of sports. NFL: The NFL is the undisputed king of sports in our country. On Wednesday night, the season kicked off with the New York Giants hosting the Dallas Cowboys. The Giants managed to score a late touchdown to make the score look respectable, but the Cowboys scored a convincing 24-17 upset win at the Meadowlands. College Football: The college football season started on Thursday night and continued on through the holiday on Monday. The marquis matchup of the weekend was Alabama vs. Michigan in a neutral site game in Dallas, TX. As all SEC fans predicted, the Crimson Tide totally overwhelmed the Wolverines. The score at the half was 31-7 in favor of Alabama. Michigan showed some pride in the second half but never mounted anything that could be considered a comeback. In the end, Alabama won by a score of 41-14 and took over first place in both polls. U.S. Open: Parting is such sweet sorrow. But, that's what American tennis fans and Andy Roddick had to do on Wednesday night. 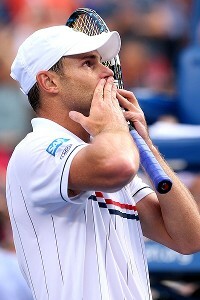 Last Thursday, on his 30th birthday, Roddick announced that he would retire at the end of the U.S. Open. That end came last night in the 4th round at the hands of Juan Martin del Potro. Roddick won the U.S. Open in 2003, and he is the last American man to win a Grand Slam event. MLB: I have been declaring all summer that it was too early for anything baseball related to make it into this column. Well, the dog days of August have turned into the pennant races of September. And, possibly the most stunning race of them all is taking place in the American League East. The Yankees held a 10-game lead in early August. On Tuesday night, they fell back into a flat-footed tie with the Baltimore Orioles. The Yankees did reestablish a slight lead on Wednesday night as the teams get set to play a pivotal 4-game series in Baltimore this weekend. The Week Ahead: The week ahead brings us more of the same ... but it's all good. NFL: The NFL will play its first full slate of games this weekend, including a special double-header on Monday night. Hope springs eternal in the first week of the NFL season. More than any other professional sport, a team can rise from bottom-dweller to contender in one off-season. And, with only 16 games in the entire season, each game is important. 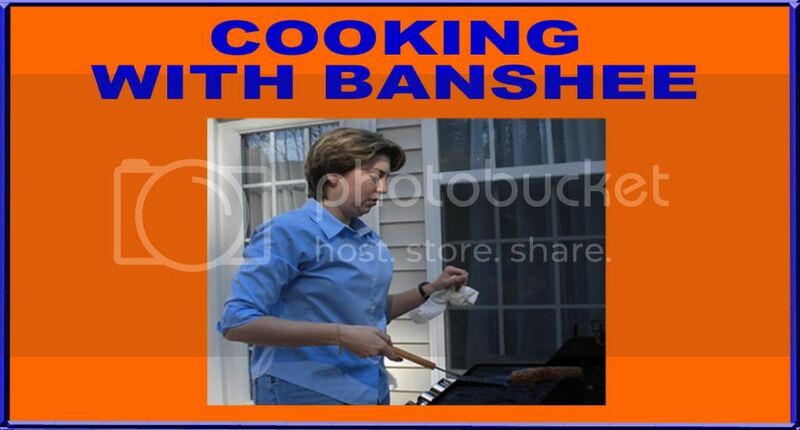 For a more detailed analysis of the NFL, check out Banshee Sports preseason predictions. U.S. Open: The final Grand Slam event of the year will wrap up in Flushing Meadows, NY, this weekend. In the women's draw, Serena Williams will face the top-seeded Victoria Azarenka in one semi-final. Maria Sharapova will play Sara Errani in the other semi-final. The ladies' final will be played on Saturday night at 8:00 p.m. on CBS. The men's draw is a little behind the ladies. The men's semi-finals are not completely filled out. But, we do know that top-seeded Roger Federer will not be advancing. Federer was ousted by Tomas Berdych in the quarterfinals. This opens the door for Andy Murray to follow up his gold medal performance at the Olympics with an appearance in the men's final. Murray has already advanced to the semi-finals with a win over David Ferrar. Novak Djokovic has yet to play his quarterfinal match, but he remains the favorite to win the tournament. The men's final will be played on Sunday afternoon at 4:00 p.m. on CBS ... and yes, that is opposite the opening weekend of the NFL. 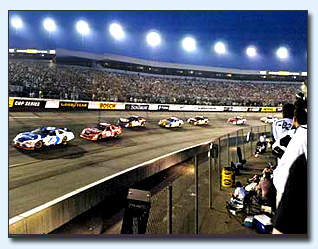 NASCAR: The boys of NASCAR head to Richmond this weekend for the final race of the NASCAR regular season. At the end of the race, the top ten drivers in the points standings will qualify for "The Chase." Two wild cards will also qualify. The wild cards are determined by who has won the most races. Ties for the wild card are broken by total points. Heading into the race, there are a couple of big names on the outside looking in, including Jeff Gordon and Carl Edwards. Edwards basically needs to win and get some help to grab a wild card slot. Gordon would clinch a wild card with a win. But, a strong finish by the 24 combined with a stumble by Kyle Busch could be enough to get the job done. Marcus Abrose, Ryan Newman, Joey Logano also control their own destinies this weekend. A win by any of these three drivers will get them into The Chase. Nothing else will do. 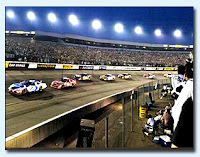 The race will air on Saturday night at 7:00 p.m. on ABC.